Melbourne Fringe is proud to announce that the inaugural Ralph Maclean Microgrants have been awarded to performers Jessica Moody and Rechelle Gayler. Melbourne Fringe, Daniel Keene’s Black is the Colour. We have two deaf actresses, and I’m deaf myself too.” Jessica has performed with University of Melbourne and several independent theatre companies. She made her directing debut in 2014 with To Be Determined at Frankston’s inaugural Anywhere Theatre Festival. With Deafferent Theatre, Jessica aims to pioneer the exploration of creative and collaborative ways to create accessible theatre for deaf and hard of hearing people. Born and raised in Newcastle NSW, Rechelle embarked upon a dance career at the age of seven studying ballet, jazz and tap. While discovering her passion, she developed a keen interest in learning more about her background, most significantly her Aboriginal heritage. She has since become further intrigued in learning about Indigenous Australian culture, particularly Indigenous Australian dance. Through developing her own personal movement vocabulary, Rechelle aspires to understand how her cultural background has influenced her practice. Ralph Mclean (1957-2010) was Chair of Melbourne Fringe from 1986 – 1991 and a member of the Board until 1998. Ralph Mclean’s passion was celebrating diversity and art in all its forms. 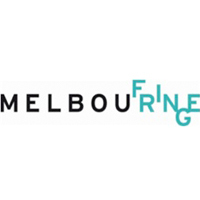 Melbourne Fringe continues his legacy through this new grant initiative of $1250 for artists. For artists wanting to present at the 2016 Melbourne Fringe Festival, registrations are still open until Monday 23 May.